People are dealing with the USMNT crashing out of World Cup qualification in different ways. This is just one way, but it is my way. So, if you came here to criticize my back-of-the-napkin pining then just keep that in mind. This isn't really a serious analysis of economics or world soccer. This is just me doing what I can to process the loss. One of the most interesting books I've read in the past 10 years has been Soccernomics, a sort of Moneyball-centered book on world soccer. The authors attempt to boil down the essence of national team success to a handful of factors: total population, per capita income and experience in international soccer. While this doesn't really explain Brazil (poor and really good) or the United States (big, rich and bad) very well, it does explain the difference between Germany and England. As you might tell, I'm not going to go through the practice of listing players born or somehow connected to Cascadia (Jordan Morris! Kelyn Rowe! DeAndre Yedlin!) and making the bold claim that they'd beat Trinidad and Tobago. We all know they would have. Also I've done that before and that's boring. The map of Cascadia I'm using is not the bioregional one, but more of the Chile shaped one that Colin Woodard used in American Nations to described the Left Coast. I'm happier with this one, it seems more like a "nation." And if you came here to tell me that I'm wrong, well, this is all made up anyway and this is my blog. I've done this before also. So, back to soccer and bad math. So, would a totally fantasy Cascadian Republic have qualified for the World Cup? Short answer: yes. Hurray! I hate you Bruce Arena! Long answer: absolutely. But we would have had a hard time beating the rest of the United States and Mexico. So, first things first, I only took the countries that were in this year's final qualifying round for North America (sorry Canada, punch your weight already) and added in Cascadia. For Cascadia I took all the counties on the west side of the Cascades in Oregon and Washington and added a bunch in California down to include most of the Bay Area (my map, my rules). I also didn't include the Cascadian parts of Canada because even though they'd be part of my Republic, I thought why make the napkin more complicated? So, population and per capita income were pretty easy to figure out once I decided on geography. In terms of soccer experience I decided on World Cup games played since it was the first metric I could find. For Cascadia I decided it would be easier to just average the number of games played of every other team. That seemed fair. 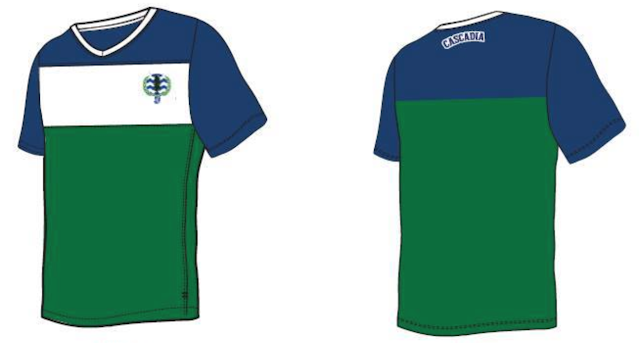 Also, in this fantasy world, Cascadia has had decades of independence and developed a strong league system with well-rooted club teams in nearly all their communities. And promotion/relegation Also, don't tell me how this decades old history would have made my populations and per capita income figures meaningless. Then I just ranked the teams by each factor and averaged the rank. Total back of the napkin. And while the United States finished first in this ranking (grumblegrumblegrumble), Cascadia finished near the top, tied with Mexico.